Saturday April 6. - Sandhills Convention Center - Ramada Inn, beginning at 6:00 p.m. This "Exciting" evening begins with a Champagne Toast, then dinner, entertainment, and entry into contests for various prizes. North Platte Area Chamber Ambassadors support business advocacy, community, economic development, employment, etc. 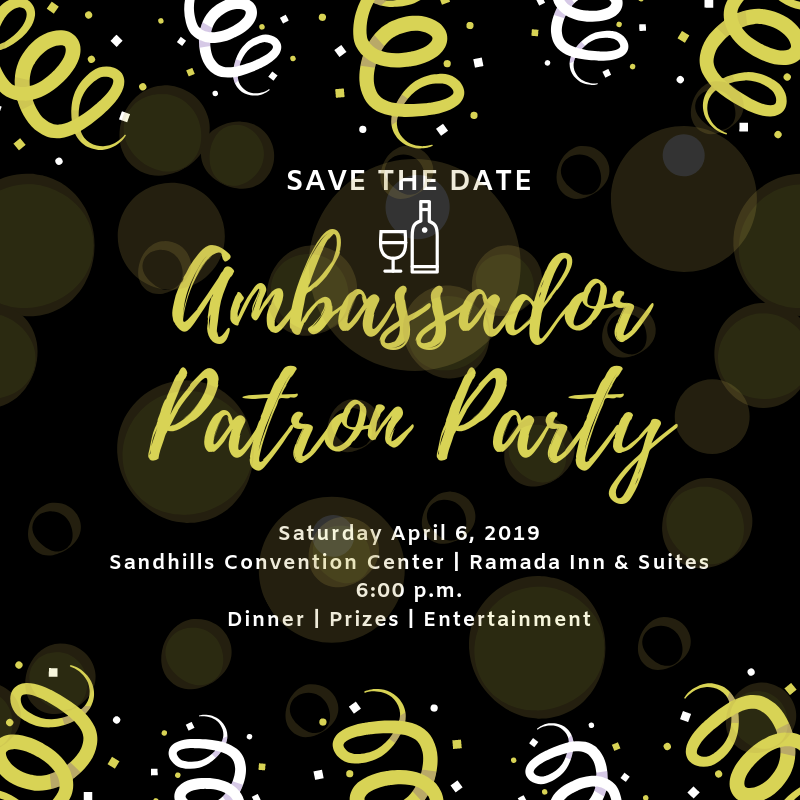 Reach out to your favorite Ambassador or stop in the Chamber Office and purchase your ticket today! !